How many calories are on the plate of food you’re about to eat? You could eyeball it, but science says you’d probably underestimate. You could painstakingly weigh each ingredient in that salad or burger or look up items in a smartphone app, but that requires time and attention to detail. 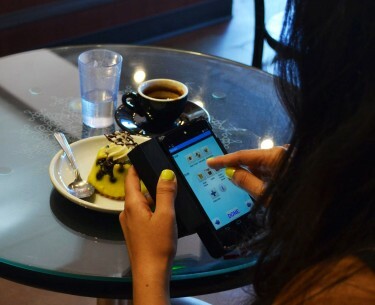 A new laser mapping technology and smartphone app developed by University of Washington electrical engineers called NutriRay3D allows you to point your phone at a plate of food and get an accurate count of the total calories and nutrition. 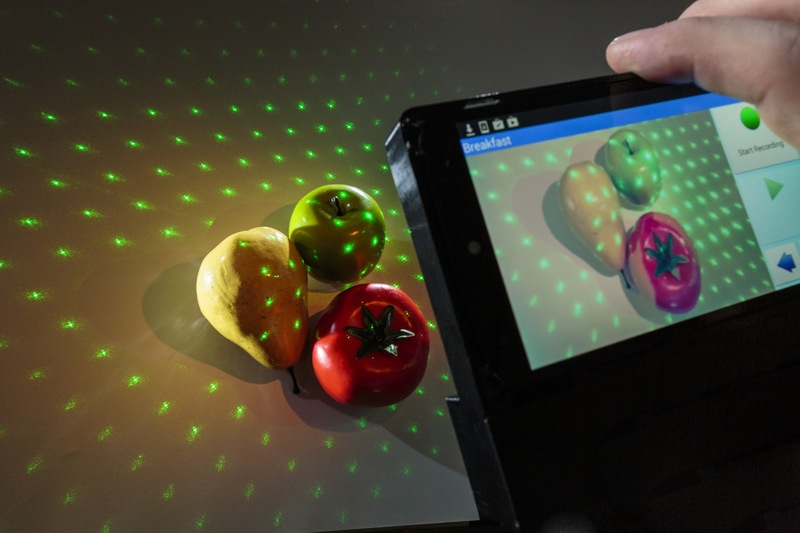 Using laser-based 3-D reconstruction techniques, the NutriRay3D device can calculate the caloric content of 9,000 different types of food. In initial user studies, it estimated nutritional content with between 87.5 and 91 percent accuracy. Other methods such as paper logs that rely on people self-reporting what they eat have much lower accuracy. 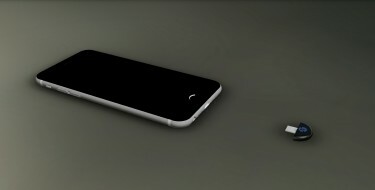 If the crowdfunding campaign is successful, the team aims to bring a consumer product priced between $150 and $200 to market by the end of the year. A laser accessory that connects to a smartphone projects a grid of dots onto a plate or bowl and precisely calculates the volume of food. From those measurements, the app estimates the nutritional content of a particular slab of steak or a handful of popcorn or a bowl of cereal and milk. By crosschecking those measurements against an extensive database of foods, the app calculates the calories, sugars, protein, fats, vitamins and other nutritional content on the plate. The NutriRay3D app can identify basic foods — such as a banana or spaghetti or oatmeal — on its own but allows users to either speak into the phone or manually enter details about more complicated meals. With that input, the app can differentiate between a piece of grilled salmon with a lighter yogurt hollandaise sauce or a higher-calorie one, or between a peanut butter or soy butter sandwich. It uses standard nutritional information for meals with mixed ingredients, such as lentil soup. For even more accurate estimates, though, users can enter and share detailed recipes for meals they commonly make. The UW’s laser-based technology was originally developed to assist cancer researchers studying the links between food intake and disease, which required participants in their clinical studies to painstakingly record and track the nutritional content of the food they consumed. To help minimize those errors, the research team from the UW Sensors, Energy and Automation Laboratory employed a 3-D mapping technique that’s been used on larger spaces such as a room or a car but that had been difficult on such a small scale as a carrot or cupcake. They also had to account for quirks of certain foods, including calculating the ratio of air to actual food in a bowl of potato chips. Additional funding will allow the NutriRay3D team, which includes Mamishev and 5 students, to do more extensive user testing, make additional changes to the device based on that feedback and begin the production process. For more information, contact Makhsous at sosper30@gmail.com or (206) 499-4618 or Mamishev at Mamishev@uw.edu or (206) 353-3568.